A lot of people have questioned the way submission to authority works in koryu. The most common assumption is that it has to be similar to the way things are in the Western world. In the west, questioning authority is similar to breathing. We grow up doing, and we naturally think others do to. We do it everywhere, even though not nearly as much as in other places, in the dojo. Without any experience to counter this, we assume that koryu dojos in Japan are a lot like gendai dojos here. If you are one of the people who believes this, then I am afraid that you are utterly mistaken. This is not like submission to authority in the Western world. 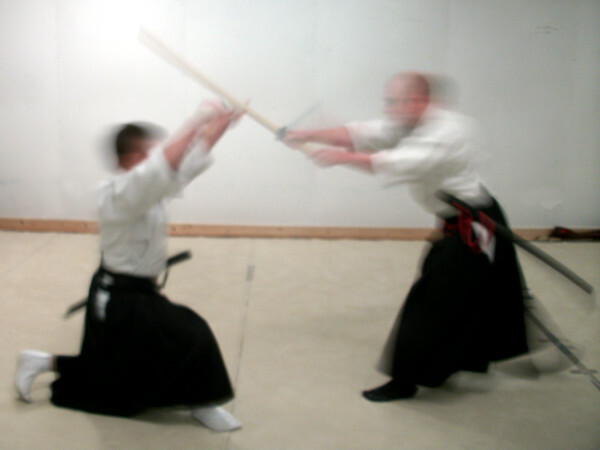 Many people have related stories about things that have happened in their budo experience where they just kept their mouth shut and kept training, rather than questioning the rightness of the teachers. In a koryu dojo, even the thought of questioning the sensei is not acceptable. Participation in koryu in Japan demands complete submission to the authority of the sensei. That cannot be stressed enough. Koryu in Japan are not culturally conservative traditions. At their most liberal, they are merely reactionary. In the dojo, you shut up, do what you're told, and love it. The only other option is to leave. That's it. Admittedly, the teachers are not gods. They make mistakes but accept this all as part of training. 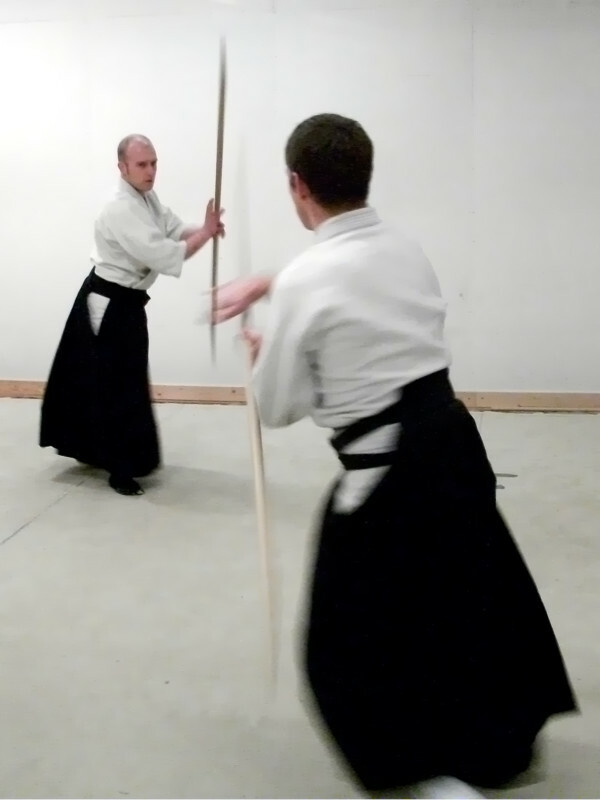 In some of the modern arts such as judo and kendo, there is a lot more room for individual activity because they are no longer styles, they are more like umbrellas under which millions of people can train together. In the modern style dojos, there is room for disagreement, alteration and addition, provided it is all done in good spirit with a light hearted and open minded attitude. There is no such room in the koryu dojos. You do what the teacher indicates, and you do it yesterday. No, there are not a lot of overt displays of authority, but few are needed. you bow in, and you bow out. Everyone knows who is in charge, and who isn't. The highest ranking person present is in charge. If that happens to be a lower standard practitioner then they only practice the most fundamental techniques, with respect to higher authority. What most people outside Japan don't realise is the degree to which total submission to authority is considered a mark of maturity in Japan. Even in schools students learn to do what they are told, or they drop out of school (something which can be done while still "technically" attending). There is no place in Japan for people who do not submit to authority. That is the social system (I realise that I may be over-exaggerating this, but not by much). The top companies are the ones that submitted to the authority and did what they were told. When the authorities are wrong, the banking system is used to bale out those companies that ran into problems because they followed directions. This is the other side of the coin here. You submit utterly to the authority in the dojo. In return, the authority accepts absolute responsibility for you. Most Westerners won't tolerate those extremes. However, once you submit to that authority, you realise very quickly that there are reasons for the total submission to it. To put it in blunt, modern military terms, it is like a boot camp. Granted, it is boot camp run on a 500 year old paradigm, but it's still boot camp, and camp and koryu have a lot in common. They are both training you to go out onto the field of combat, and come back off in one piece. For that, you have to be aware of the smallest details, you have to be able to use your skills without thinking about them, and you have to be able to react to a given order without question. That last part is, I think, semantically equal to "complete submission to authority." Koryu training, while utilising anachronistic weapons, is still training the individual for combat under any conditions. One last thing about the required submission to authority in koryu; it's not as hard as you think. When you know nothing about what is going on, it is not difficult to shut up and follow directions as well as you can. In addition, everyone, gaijin and Japanese occasionally makes the mistake of doing a little thinking, and trying something based on that thinking. Almost invariably, you are wrong, and you get smacked down in the dojo. Usually this is for your own, immediate safety. Otherwise it is to prevent you from trying something foolish at a later time. If you can stick it out, you learn that there are deep reasons for doing things the way you are doing them, and so you stop questioning that authority, even in your own mind. This usually happens about the same time you begin to understand some of the reasons for doing things the way you do. After that, it is not a matter of questioning authority, but of trying to better understand it. To study koryu you must give total submission to authority. Your only recourse is to leave the dojo. There are no other options. Anything else is not koryu.